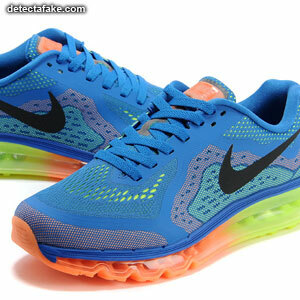 The Nike Air Max 2014 is the ultimate expression of the blow molded Max Air technology. 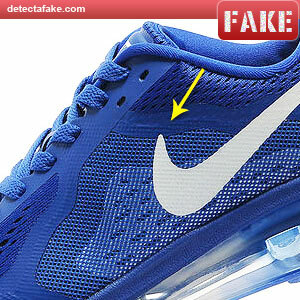 The fakes on the market are very close, as far as visually, to the authentic Air Max. Below are a few ways to tell the difference. The first thing to look for is overall quality. Look for glue, alignment issues and stitching quality issues. If you see any of those items that jump out at you, they're probably fake. 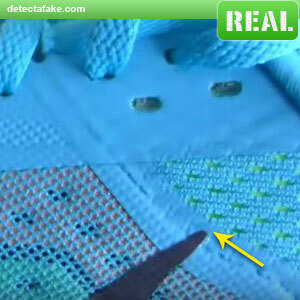 Also, if you are purchasing shoes online, and they are under $100.00, assume they're fake. 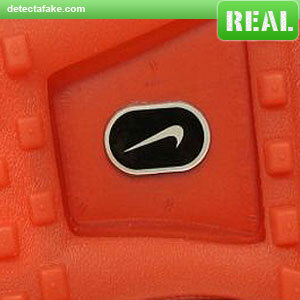 Next, look at the Nike chip on the sole. 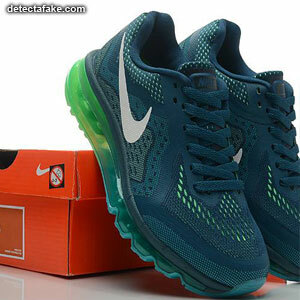 The 2014 Air Max shoes should not have the "+". Many of the fakes do. If it has the "+", it's fake. 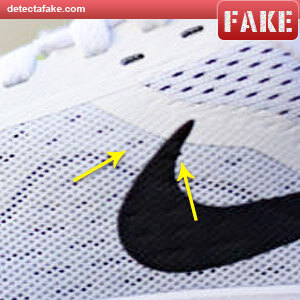 Next, look at the alignment of the Nike swoosh. There should be 3 circles visible below the mesh, with a minimal gap between the 3rd circle and the swoosh. The 4th circle should be partially covered up by the opposite side. Notice on the fake, there is a large gap below the third circle and the 4th is almost completely covered up. 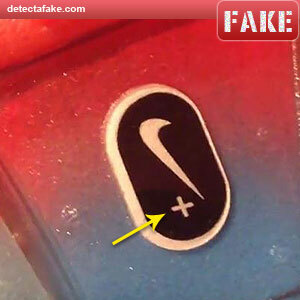 Next, look at the top of the Nike swoosh. It should stop about 75% through the material band, as shown above. And last. If you have a box with your shoes, make sure it does not have a sticker on the inside of the lid, like the one above. Nike did not have this on their boxes. This is something the fakes added to their boxes for some reason. 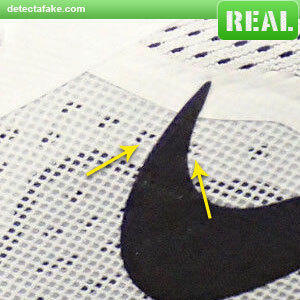 Notice the "+" by the Nike swoosh. 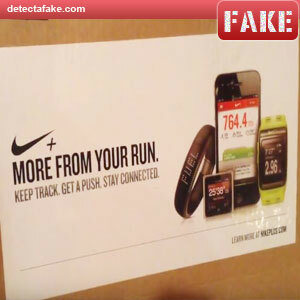 That should not be there even if Nike had a sticker on theirs.